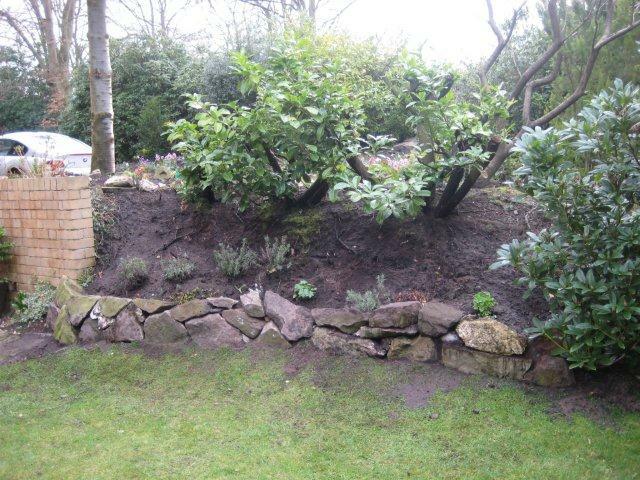 Yesterday, I ventured into the garden to plant a few plants I was given for my birthday, but ended up building a stone retaining wall instead. Those stones might not look it, but they were so heavy I could barely pick some of them up! I was rather pleased with the outcome!